***Note that the first loading of a Java session can be slow, and after the first dialog, you may need to refresh the page and accept a second dialogy. It is what it is. 9) select this website (https://thinkbio.guru) and click 'Allow Always'. 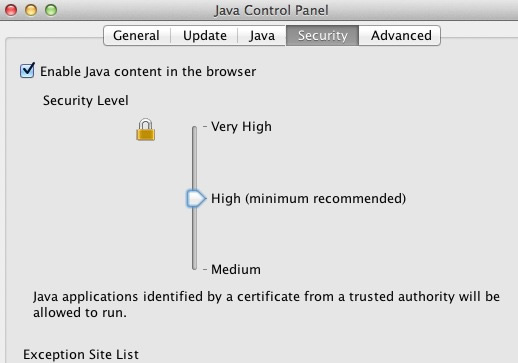 NOTE: you may need to have a webpage OPEN to a JAVA page on this site in order to get the option to set a security setting for it. 10) Give it a try!